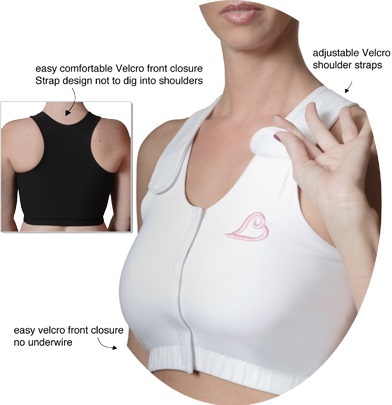 • It has a special design pocket to hold prosthesis securely in place. 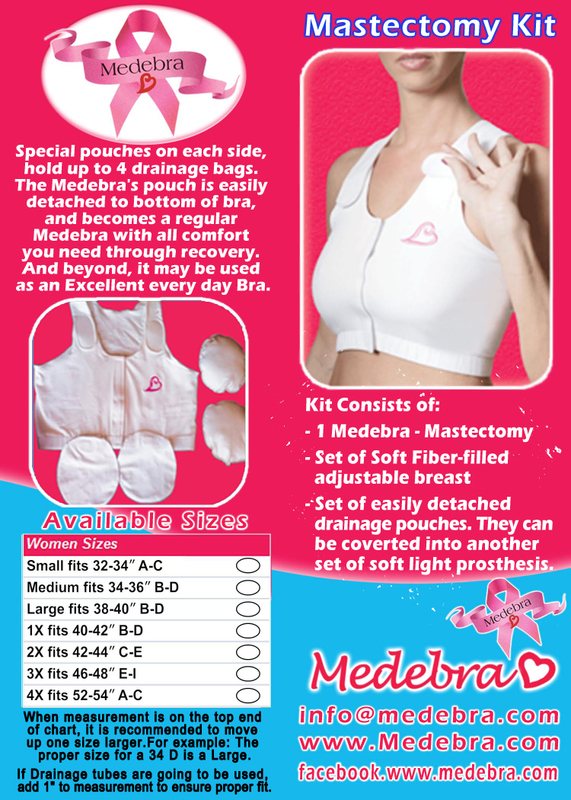 • Special bags on each side, hold up to 4 drainage bags. 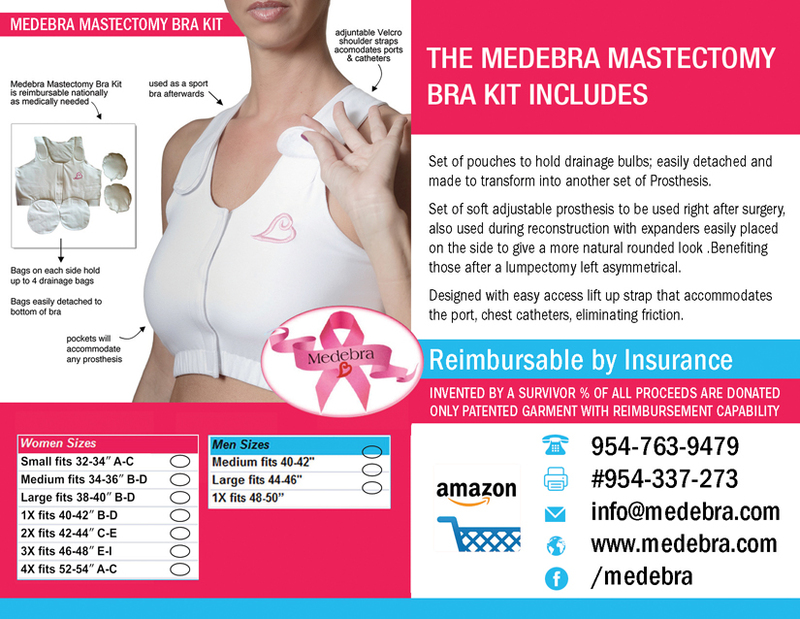 The Medebra’s bag is easily detached to bottom of bra, and becomes a regular Medebra with all comfort you need through recovery. And beyond, it may be used as a Sport Bra. 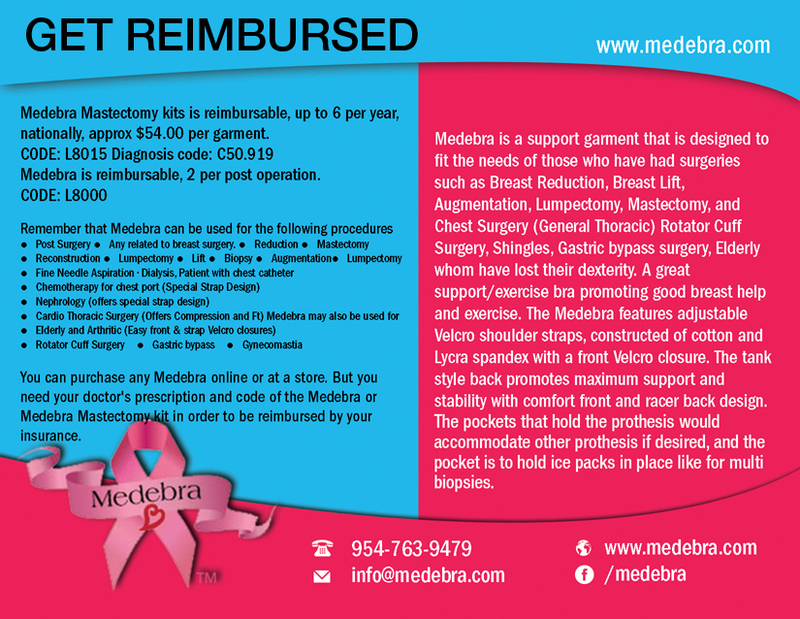 • Fits is Medebra or Mede-Mastectomy. 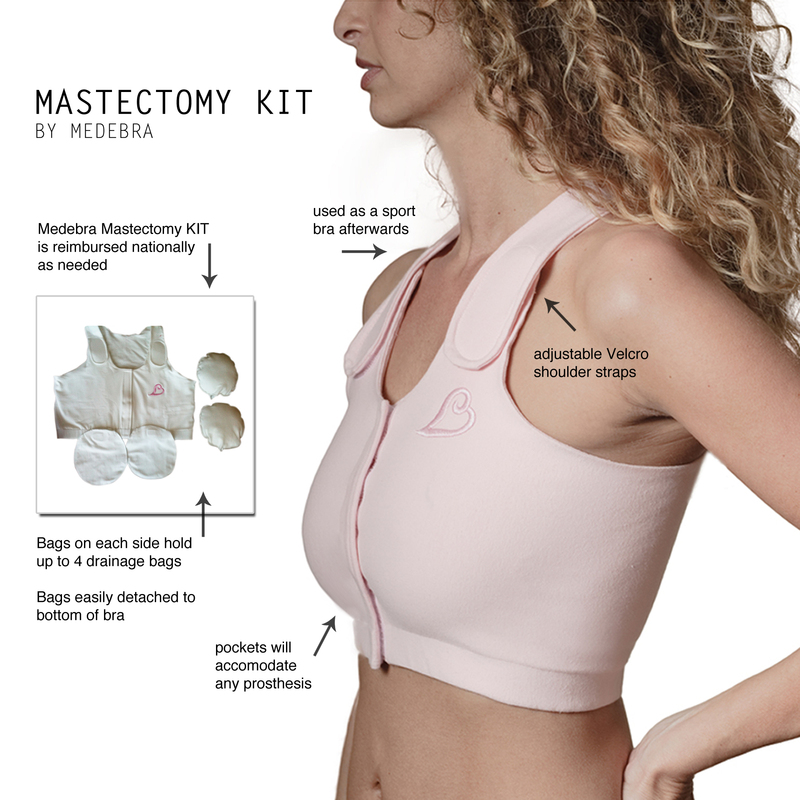 • Puffs come over stuffed so patient can adjust to her own preference. • Small opening so puffs can be hand washed to keep fresh.We suggest you get and extra set to have a spare if you need it.